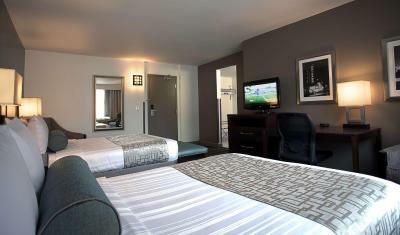 Lock in a great price for Best Western River North Hotel – rated 8.1 by recent guests! Hotel was in a awesome location. Stuff was extremely friendly and welcoming. Location to the Navy Pier was important to us because we were in town to attend my son's graduation in the ballroom at the pier. Was close to many excellent restaurants and other attractions . Staff was very helpful and cheerful. Shoutout to Wallace. He was very helpful in answering our questions and recommending tours. Excellent addition to your staff. Excellent location! Easy access to and from the freeway. Red line is only a couple blocks away. 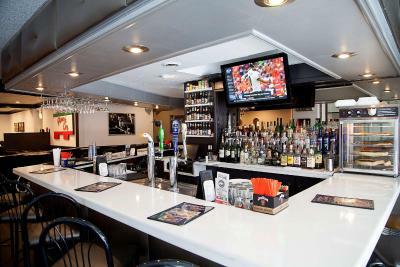 Many bars and restaurants and shops within walking distance. Parking is very cheap compared to others. The staff was very sweet, the gentleman’s working the front were very professional and kept a smile on their face. Great location! Staff was very friendly, especially Wallace Pope. Extremely friendly, helpful, and provided great suggestions on what to do our one night here. He’s a ball of energy. Every hotel should have a Wallace. Pool is one of the largest we’ve seen in a downtown property. It is also 8 feet deep- most are only 5-6 feet deep. Location is good- 15 minutes to get to the river. 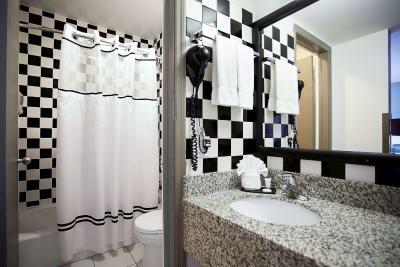 Best Western River North Hotel This rating is a reflection of how the property compares to the industry standard when it comes to price, facilities and services available. It's based on a self-evaluation by the property. Use this rating to help choose your stay! One of our top picks in Chicago.Just 5 blocks away from the famed shopping, dining and entertainment of the Magnificent Mile, this hotel is located in downtown Chicago and offers an indoor heated pool and a rooftop deck with views of the iconic city skyline. 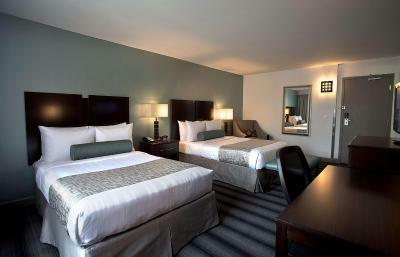 Every room at Best Western River North Hotel offers a view of the city skyline or the Chicago River, along with a flat-screen TV with premium cable channels. A coffee maker is also provided. 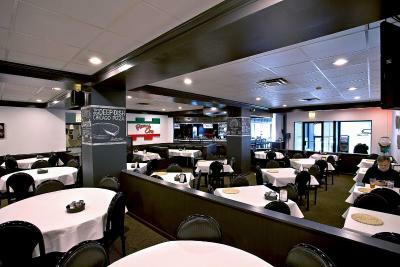 Guests can get a taste of the city at Pizzeria Ora Restaurant and Lounge, which offers authentic Chicago-style deep-dish pizza and classic Italian fare for breakfast, lunch and dinner. 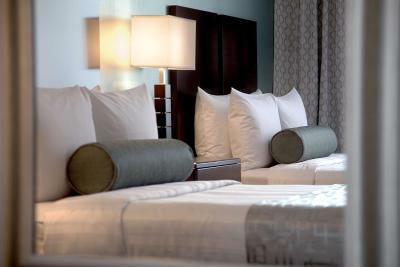 In-room dining services are also available for guest convenience. 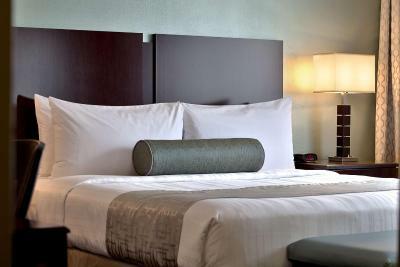 A fitness center, business center and 24-hour front desk are all available on-site. Laundry services and valet parking are also offered. Navy Pier, Millennium Park and Willis Tower are all 1.5 mi away from the hotel. Wrigley Field is 6 mi away. 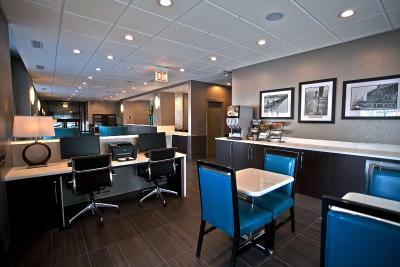 The hotel is a 35-minute drive away from O’Hare International Airport. 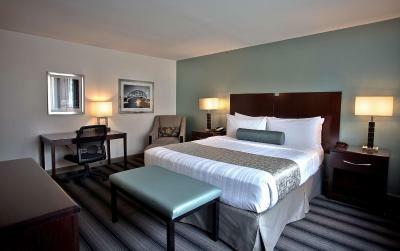 When would you like to stay at Best Western River North Hotel? 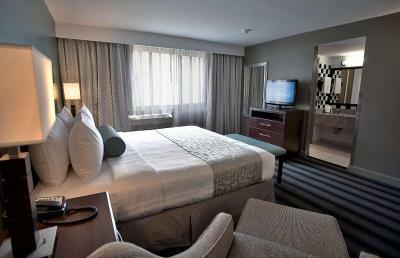 This room features modern décor and comfortable amenities, including plush bedding and a large work desk with ergonomic chair. Featuring a separate seating area with a sofa bed, this suite includes a large work desk with ergonomic chair. Featuring a separate seating area with a sofa bed, this suite includes a refrigerator and a large work desk with ergonomic chair. This suite features a separate living room with a sofa bed. A refrigerator and a work desk with ergonomic chair are also included. 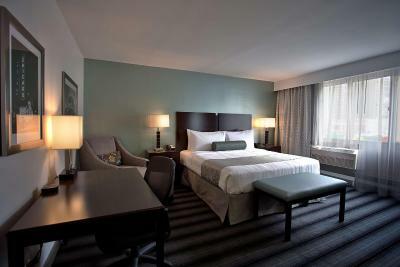 This large suite features a separate living room with a sofa bed and a large work desk with ergonomic chair. A refrigerator is also provided. Best Western River North was established in 1986. The building was originally built as an ice-packing warehouse and was later converted to a hotel lodge. 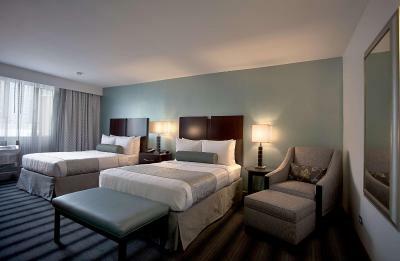 Best Western hotels are independently operated and ours is family owned. This benefits us because while our property holds true to the Best Western Corporate quality standards it also provides the personalized customer service of a small family owned business which has allowed us great flexibility to be innovative and offer the best value possible to our guests! Hotel surroundings – This neighborhood is a great choice for travelers interested in restaurants, shopping and food – Check location Great location - show map Guests loved walking around the neighborhood! House Rules Best Western River North Hotel takes special requests – add in the next step! Best Western River North Hotel accepts these cards and reserves the right to temporarily hold an amount prior to arrival. Please note that all public and private spaces are fully nonsmoking. Please note that only 1 vehicle is allowed for parking per reservation. In & out privileges are granted and optional for an additional fee. We stayed in room 514 and the floor was extremely uneven and soft in spots. It was a real concern. The air conditioner did not work properly. The bed was comfy and the location was great. Aircond. was loud and old, but could be plugged off! Didn't like being on a busy, noisy alley, but that couldn't be helped except to be in a higher up unit. Room was very clean. Beds were comfortable. Accommodated everything I asked for. The rooms were large but the hotel was a little dated and in need of some renovations. Had to go outside to take an elevator to the second floor since one from lobby did not stop at second floor. Better to have a bar fridge. A 10-min walk to Grand station. Close to many restaurants. The rooms were incredibly noisy. We were woken twice at 6.15am in our 4 day stay by the bin men outside. The upstairs room sounded like they would come through the ceiling every time they walked around. This was obviously incredibly annoying and we wouldn’t have stayed there if it was longer than 4 days. The location was fantastic, loads of restaurants nearby, close to the cta line from O’hare and easy walking to everywhere. 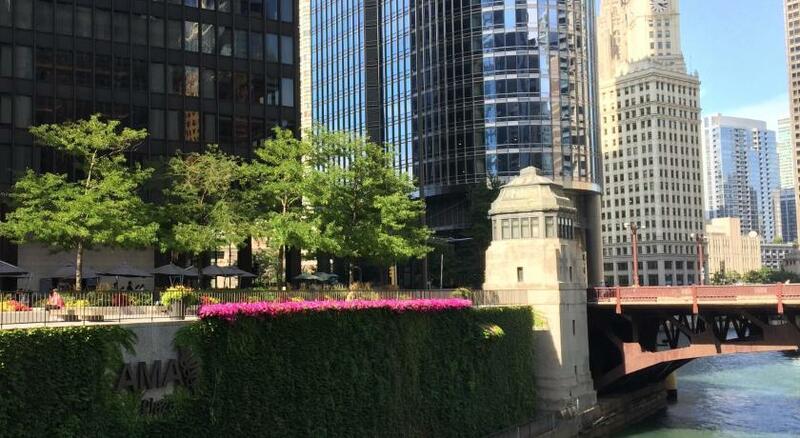 Chicago is a beautiful city and worth walking the miles to explore! Had a hard time getting the AC to work properly. Looks like it’s a good time to get new ones.